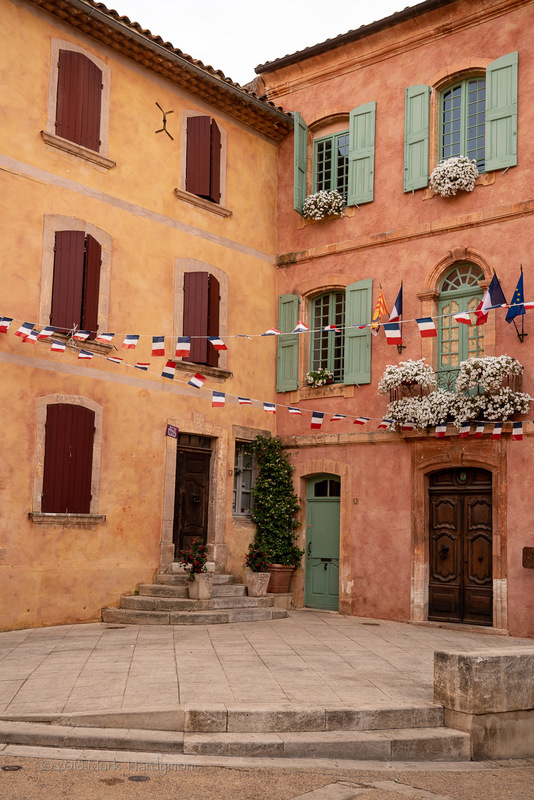 We visited Roussillon very early in the morning of Bastille Day. You could say that when we arrived, not a creature was stirring! 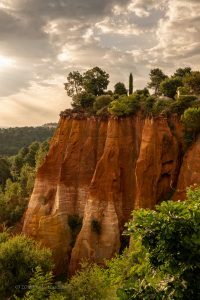 Roussillon is quite a small village of less than 1000 people, who’s claim to fame are the rich deposits of ochre pigments found in the local clay which was mined from the late 18th century until the 1930’s. 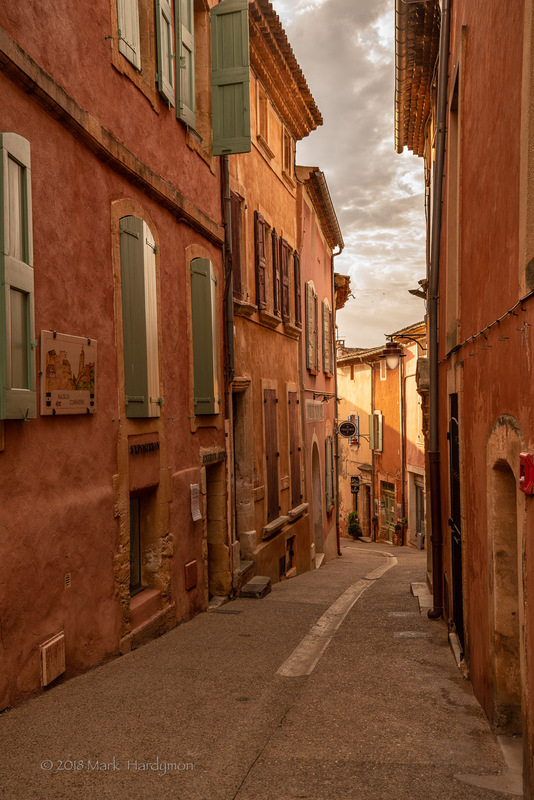 All the reds, oranges, yellows become apparent in the buildings throughout town. Most all the stucco and mortar used in the buildings carry those hues. 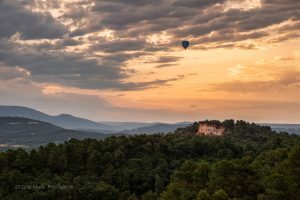 Makes for a really interesting pallet of colors. 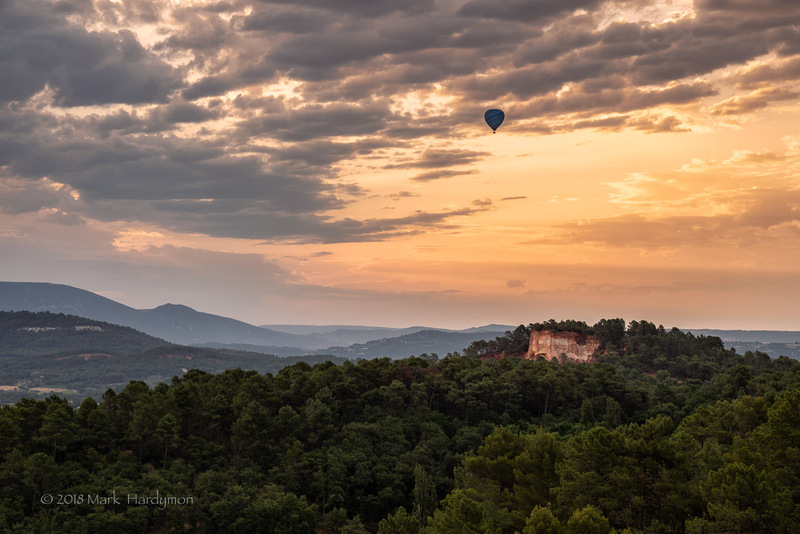 Lots of French flags for the holiday, even a sunrise balloon ride! 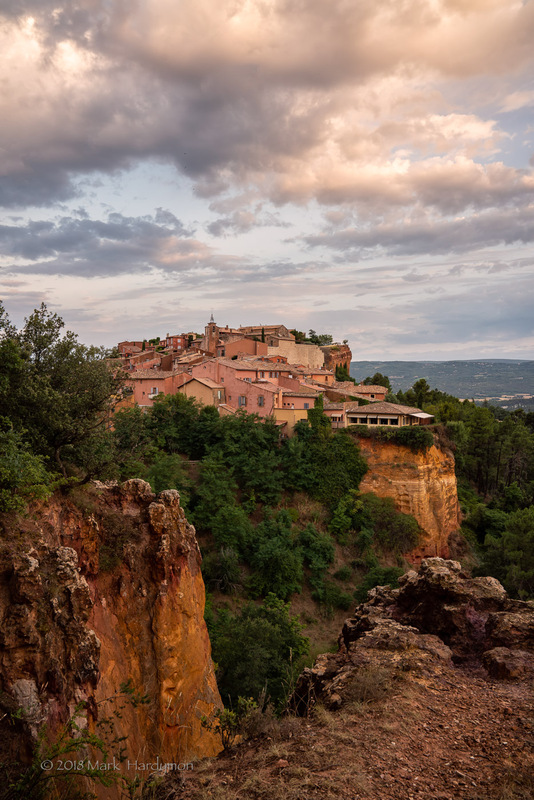 Like so many villages in the south of France, Roussillon is perched on a cliff. The characteristic colors of the local geology, unique! 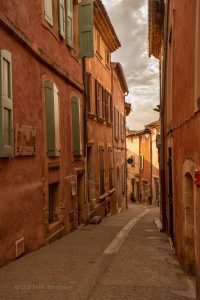 This entry was posted in Architecture, Camargue, Landscape, Traveling.